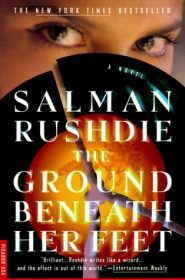 If Salman Rushdie’s Ground Beneath Her Feet had been, oh, about 400 pages instead of 592 pages, I’d probably have loved the crap out of it. 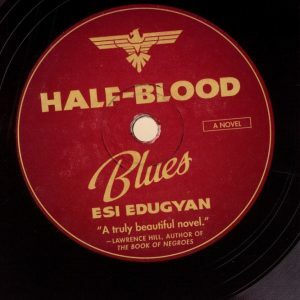 It’s got everything I love in a book: a bit of magical realism, rock & roll, clever homages to writers like James Joyce and Kurt Vonnegut, and a strong, captivating female character. 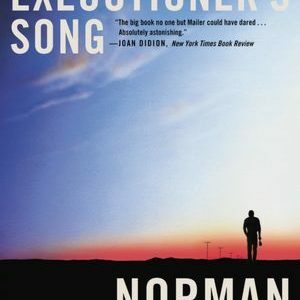 It’s also got everything I despise: many secondary characters that serve no purpose other than to gives us background, pages and pages of an author philosophizing put into the mouth of a character, and, well, more pages than is necessary. The main story here about Ormus Cama and Vina Apsara, Indian Rockstars, is a sort of retelling of the Orpheus & Eurydice myth as told by their childhood friend, Rai, a famous photographer. When the story sticks to this retelling, I was in love. When the story spent pages and pages and pages telling me about opera I was dead bored. But back to Ormus and Vina. Ormus is a Elvis Presley/John Lennon/Brian Wilson of the Beach Boys kind of character. He’s a musical genius from a damaged family, his twin brother dies at birth and haunts Ormus his entire life. One of his other brothers is a serial killer. In his mid-20s he meets the lovely Vina Apsara at a record store. Vina’s half-Indian and half-American with a checkered past who lands in India with distant relatives after her family implodes. It’s the lovely Vina who drives this story. While it might be Ormus musical genius that gets credit for the duo’s superstardom, it’s her will and determination that makes her the biggest rock star in the entire world. When Vina disappears, presumed dead, Ormus falls apart and so does the book. Without Vina the story lacks, it’s missing the big beating heart she provides. Without Vina we just have two men-children Rai and Ormus pining for her. While some readers might like knowing the histories and fates of each character to cross Ormus and Vina’s path, I’m not that reader. I got frustrated about 400 pages into this book, sighing dramatically with every tangent Rushdie took. When Rai, a self-taught, never-went-to-college photographer goes on for three pages about the history of opera and how it has influenced rock and roll, I nearly quit the book. Because really? How would he know? While we knew every thought and desire of Rai’s parents this was the first time he ever expressed any real interest or knowledge about music. It came off as just another opportunity for Rushdie to show off how much he knew and did nothing to advance the story. The Ground Beneath Her Feet was my first Rushdie experience and it’s one of those that I’m glad I read but it was kind of a chore to get through.